Divya (9), Shilpa (10) and Kishan (8) stayed at the construction site with their parents but had no opportunity to go to school. They are now coming to Saath’s class run at construction site itself where they are provided nutrition support along with education. 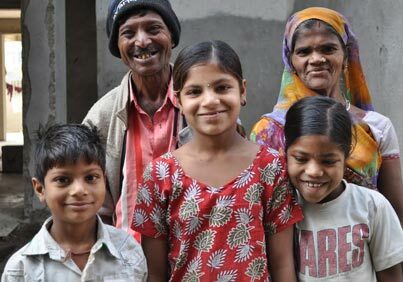 Their Father is very happy that the children are now able to write in English and Gujarati. The 31-year-old was thrown out of the house with her three kids after the death of her husband. Saath facilitated the process of widow pension, bank account, election card, and helped her join a program for her livelihood. She is now economically independent and able to provide good life to children. Ashwini lost her father ten years ago and the income of the family of seven is merely Rs. 8,000. 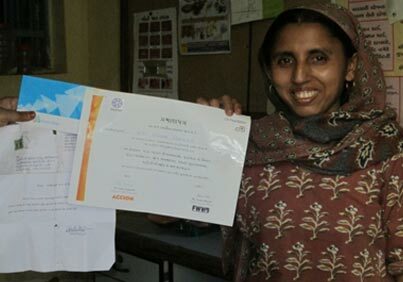 She took electrician’s training at Saath to provide for her family being the eldest child and now also teaches electrician trade to other aspiring young girls. Raju after failing his 12th exams quit studies and had no idea about his future. 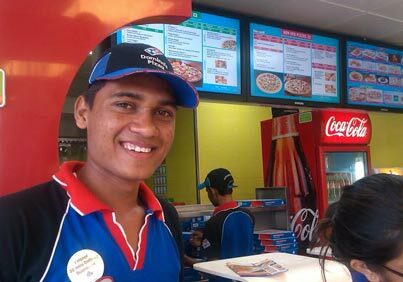 Through Saath’s Youth Group he learnt about a job opening at Dominos, which he joined instantly after clearing the interview. His supervisor sees him as a dedicated and efficient employee and he earns Rs. 7,000 per month. In the past 5 years, Saath has empowered more than 5,00,000 individuals. with empowered families and communities. Saath has 80G and 35AC Tax Exemption Certifications for Donations. If you would like 35AC Receipt for your donation, please contact us first at +91 – 79 – 26929827.